Talk about designer laptops. 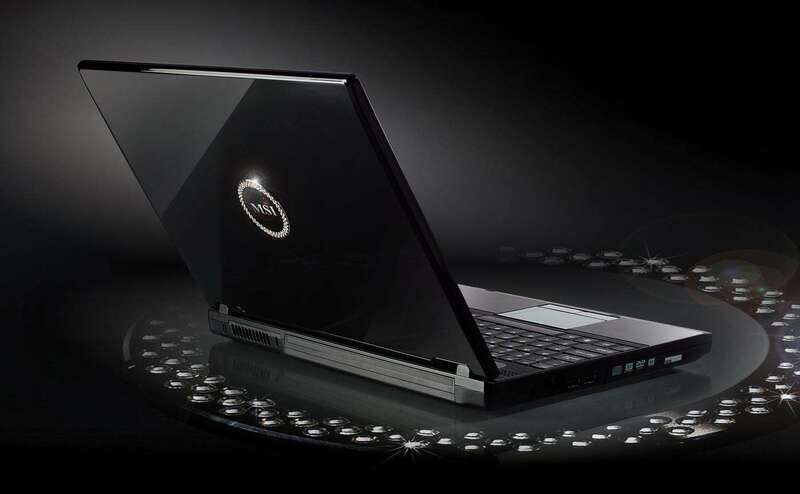 Taiwan-based component manufacturer Micro-Star International Company, or MSI, has released a collection of laptops that could top your great-grandmother’s crystal chandelier for shininess, while providing enough power to trump your desktop for usefulness. The first installment in MSI’s collection is the Crystal M677. It gets its name, and its bling, from 120 pieces of real-deal Austrian Swarovski crystal that are inlaid over an equally shiny, UV light solid, black paint coating. You may feel like you’re in a hall of mirrors when you look at this luxury exterior. But open up the M677, and the dizziness and disorientation will subside, and you will get quickly grounded in practicalities. The fashion laptop’s widescreen 15.4-inch display comes with a mirror-like finish so precisely engineered you would think Swarovksi had a hand here, as well. The keyboard area is spacious enough to fit a separate numeric keypad, in case you’re crunching numbers for work or for your retirement. And thankfully, all of this show comes with some substance. The Crystal M677 is a 64-bit-capable computer, with the AMD Turion 64 X2 processor. The RAM is upgradeable to as much as 2GB of memory. The NVIDIA GeForce Go 7600 graphics processor could please most amateur gamers. And the hard drive runs at 5400 RPM, which means booting up and accessing your photos, songs, and saved data won’t leave you staring at yourself in the crystals while you wait.